The volunteer opportunity that turns into a life dedicated to serving others. The office visit with a professor that sends a student down a more rewarding career path. The endowment donation that lowers the debt of a student preparing to enter the workforce. Gifts come in all shapes and sizes, and sometimes they have unforeseen impacts. This One Day, One Dog, think about the gifts you’ve received – a mentor’s time, scholarship aid, advice from a friend – and what impact they’ve had on your life. Consider keeping that spirit alive with a gift of your own. On One Day, One Dog, we celebrate the act of selfless giving. Make a gift to the University to provide transformational life experiences for our students. 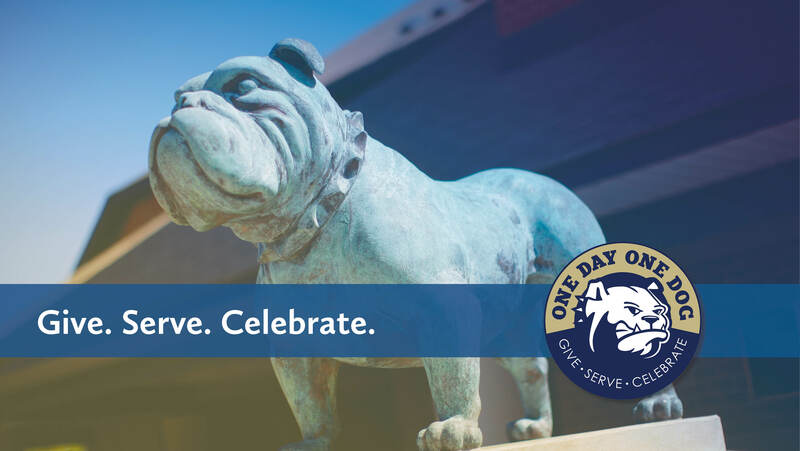 This gift can support the Annual Fund (Wingate's Greatest Need), the Bulldog Club (Student-Athlete Scholarships), or any other area of campus that you feel passionately about. Put into action the lessons of selflessness and altruism we try to instill in others through volunteering your time. Serve with one of our community partners or locate a service opportunity near you. Inspire others to invest in our Mission by sharing your personal Wingate stories of triumph and transformation. Our people are our greatest asset, and we want you to tell the world what it means to be part of #OneDayOneDog. 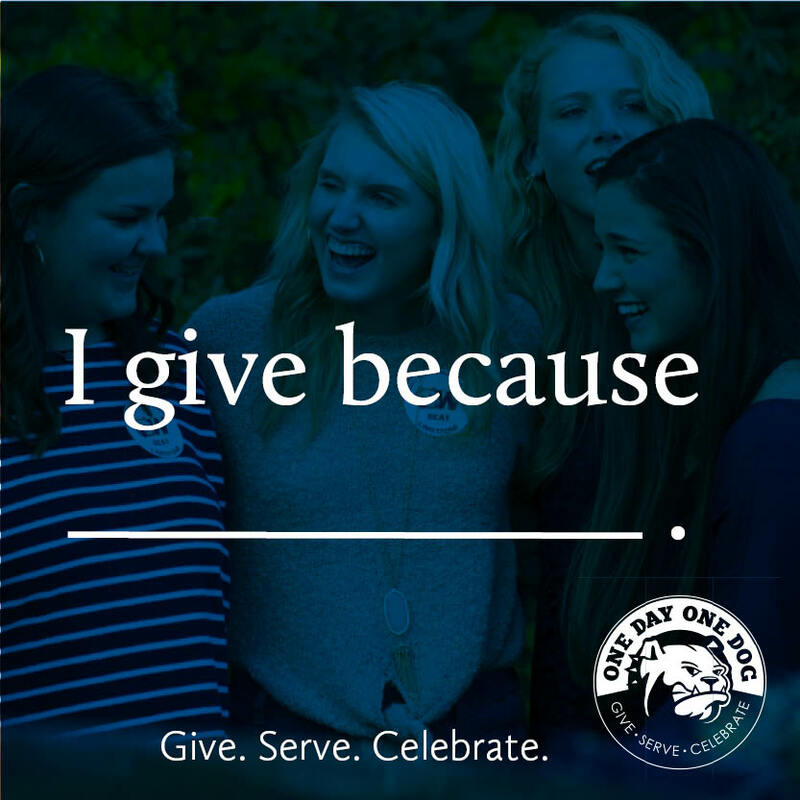 Share your reason for giving and your Wingate story by posting to social media. Be sure to use the hashtags and encourage your social networks to be a part of One Day, One Dog, too!